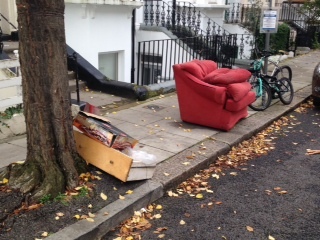 The efforts of local Conservatives to clean up the borough with a grot spotting tour of some streets in Hammersmith Broadway Ward by Cllr Charlie Dewhirst and Rochard Owen. 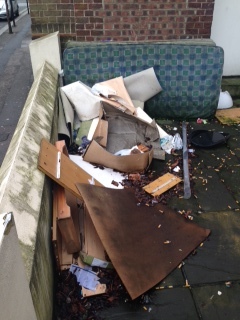 Among the grottiest spots? 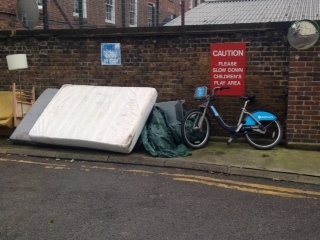 A sofa at the south end of Southerton Road, a mattress and Boris Bike outside Elizabeth House on the Queen Caroline estate and mattresses and other mess outside 1 Cambridge Grove.